Schott NYC claims to have been the first company to put a zipper on a jacket in 1925. The pictures used to illustrate this claim generally show early models of their asymmetrically zipped motorcycle jacket, later known as the "Perfecto" style (although they don't claim to have invented that style until 1928). The marketing implication is that every zipper fronted jacket which has come since is merely an imitation of their original innovation. Unfortunately, it's all marketing hype. There are two types of zipper, the separable ended zipper and the closed ended zipper. If their marketing "history" is referencing the separable type used as the main zipper on jackets, it did not exist until 1930. If they are referencing the fixed end type, it was used by other makers since the early 1920s, years before they claim to have been the first. The original design of the zipper featured a fixed end, that is, the two sides of the zipper were permanently attached at the end. This is the type of zipper most typically found on the pockets of leather jackets. Now this was fine for most early applications: luggage, money belts, corsets, shirt necks, etc., but it limited its usage on jackets to a pull-over or a step-in style. 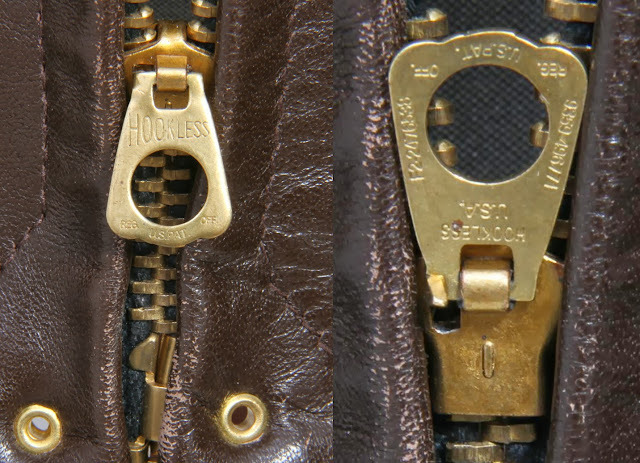 Hookless fastener had worked on creating a separable bottomed zipper through the late 1920s, experimenting with a variety of designs from c. 1927-1930. Most had fiddly end arrangements, which were difficult to mesh and which were not very secure. A final, working version went into production in 1930. 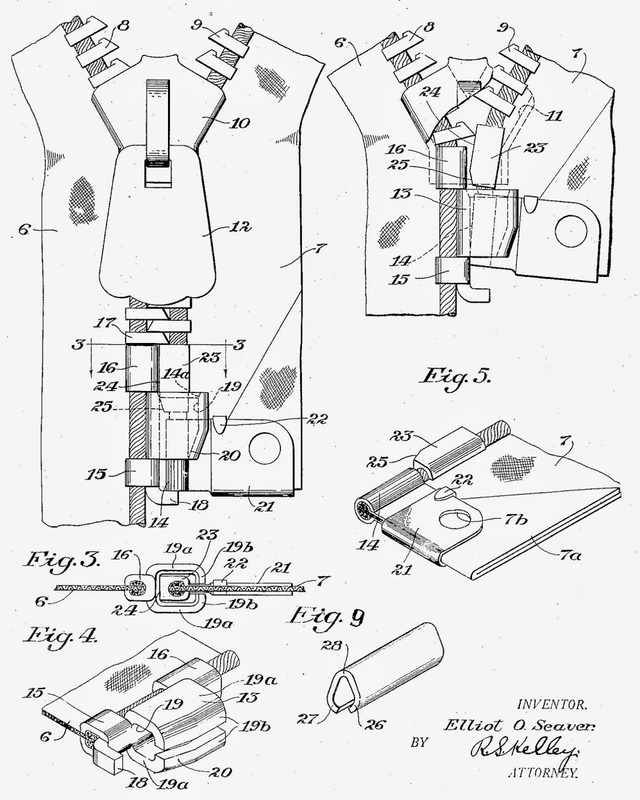 Below is a copy of the Hookless patent, invented by Elliot O. Seaver. Jacket companies immediately adopted the new fastener, and it can be found ads and products from a variety of makers from that year. This early bent metal version of the stop-box was produced from 1930 through until at least 1937. It was joined, and eventually replaced by the "deco sunburst" stop-box. More on that in another post. One of these Hookless grommet zips in the flesh. 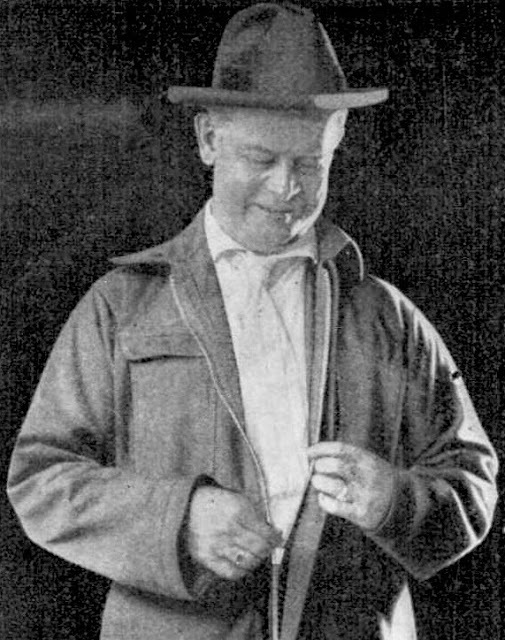 It's fair to think that Schott may be referencing the non-separable end type zipper, the only type which was actually in production in 1925. Unfortunately, other companies had beat them to the punch by years. Below is an offering of the "Jiffy Garment Company" of Saint Paul, MN from 1922, a step-in style which did up with the "Lightning Hookless Fastener". Another early 1920s offering, produced by Guiterman Bros., also of St. Paul, MN can be found on the SunTrap blog. 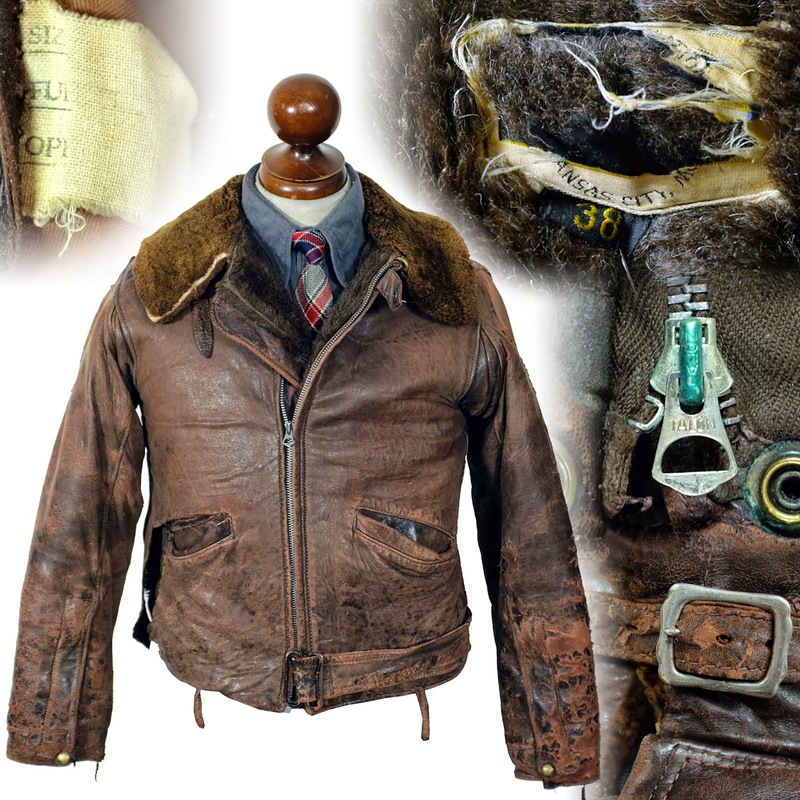 Hunting jackets were early adopters of zippers on their game pouches. This example bears one of the earliest Hookless Zipper I've seen. The last patent date on the slider is from November 1919, with other patents pending. Going by other patent dates stamped on later Hookless sliders, this jacket dates from the early 1920s.